Paul Walker was awarded his Brazilian jiu-jitsu black belt at his memorial service. 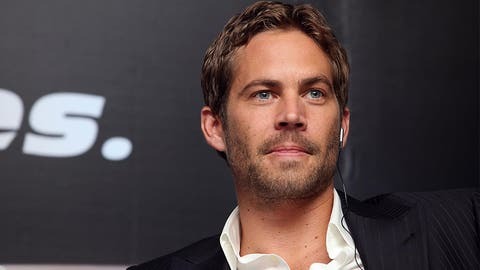 It’s been less than two weeks since actor Paul Walker died in a horrific car accident that claimed his life along with another friend who was driving the Porsche Carrera at the time of the crash. Walker was a beloved figure with all of his co-stars and friends from in and around Hollywood, as well as some good friends he made in the mixed martial arts community as an avid practitioner of Brazilian Jiu-jitsu and huge fan of the UFC. When he passed away, Walker was already a brown belt studying under instructor and mentor Ricardo ‘Franjinha’ Miller at the Paragon Brazilian Jiu-Jitsu academy in California. Following the news of his tragic death, Miller decided to honor Walker’s memory by giving the actor his black belt in Brazilian Jiu-Jitsu posthumously at a memorial held by his family after his passing. Miller talked about his long time friendship with Walker, which developed over the years after he first wandered into his academy looking to learn something about Brazilian Jiu-Jitsu. According to his coach, Walker regularly asked for his movies to feature grappling instead of the standard fight fare you might see in a film production, and Miller was right there with him every step of the way to give guidance and support. "He always wanted to showcase jiu-jitsu in his movies," Miller wrote in a blog. "Rather than the punches and kicks so common to many action films, he wanted to use his movies as a stage for jiu-jitsu. Some of the jiu-jitsu techniques from our training sessions were utilized in the Fast and Furious series. Paul would always tell me that he did not just want to be known for fast cars. He wanted to be known for fast cars and jiu-jitsu. He wanted to be an ambassador for jiu-jitsu." Looking back on the time he spent with Walker, there was one goal that the actor and father always had from the first day he started grappling and that was to earn his black belt. Miller warned him that he wasn’t going to be given or handed anything in his gym, and Walker was more than happy to earn each stripe he achieved all the way to the moment he received his brown belt from the instructor. "He was determined to become a black belt. He said ‘I will get my black belt, even if I need to get it in my coffin’. Now in the wake of his death, I would like to reward Paul Walker the black belt that he wanted so much during his life," Miller said. Miller awarded Walker his black belt at a memorial held in his memory this week as the world still mourns his passing. Walker was just 40 at the time of his death.